"in the Depths of the Congo"
It only works for a few hundred North American warblers and finches, but the idea is: uploading an image, highlighting key areas (tip of tail, beak, etc.) and then the computer program identifies the species for you. Well there are some mobile applications that are being developed to ID leps on the field, even for non specialists. Butterflynder is a good example for Western Europe. I know that xavm (Xavier) worked on it, he may be able to tell us more. Or you could just ask Adam! 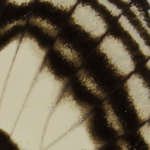 That would only work for Papilionidae, and the accuracy rate would be lower than 100%. Thanks for the compliment though. I am working on it but it will take 2 or 3 years more of research. 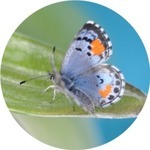 I have one working for Lycaenidae that gives the correct species in the top 10 (out of 400 possible species). I am also trying with the Stichophthalma, but if those that write the papers can't agree and split species and sub species apart and with the amount of variation I see in one location what chance have we got of ever being 100% certain, but then isn't this really why we do this, just having loads of set specimens is nice to look at, but the challenge is in the identification.